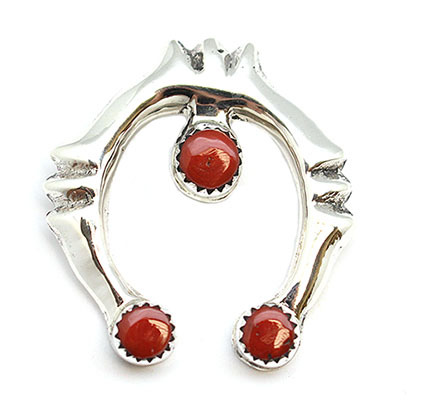 Sterling silver sand cast naja pendant with a free form coral stone at each end and in the center. It measures approximately 1 3/8" long by 1 1/4" wide. It has a shepards hook on back for the loop. Crafted by Navajo artisan Pauline Nelson. Size and shape of stones may vary.